* I read this book and wrote this review in mid February, but I'm a little delayed in putting it up. The Miseducation of Cameron Post had been on my radar for a while. Originally, I’d be drawn to the cover because I thought it looked so serene and beautiful. I didn’t really know anything about it, and until one day I watching a booktube video and this was mentioned as having a lesbian protagonist, which sounded interesting. I almost picked it up in the bookstore so many times after that but I always put it down for something else. 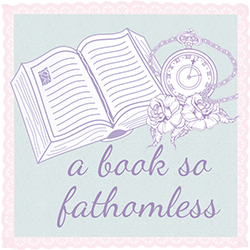 I probably wouldn’t have picked this up if it wasn’t for the Bookentine read-a-thon that I hosted with Michelle. I needed a book with an LGBTQ+ character, and this seemed like a good choice. I didn’t really enjoy the first half of this. 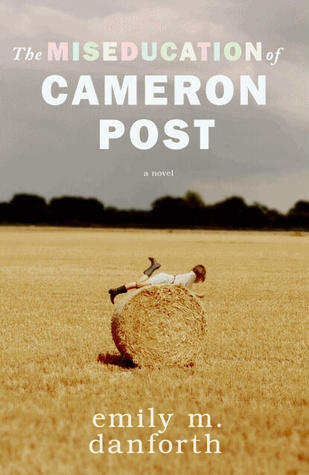 The first seventy pages take place when Cameron Post is eleven or twelve which was a little weird to read about, by part two she has gotten older, which made this easier to read. The thing I originally found difficult about this book was the fact I had nothing in common with Cameron. She’s a lesbian girl living with her grandmother and aunt in Montana in the early 1990’s. I’m a straight girl living with my dad and brother in Melbourne in 2015. We’re kind of different. I think the hardest thing were the religious parts of the story. I knew that this was going to be somewhat religious when I started, but I still found it hard to understand and relate to that aspect having grown up in a non-religious family. I should clarify, religion is a major aspect of this book but it’s not shoved down your throat in a ‘you must believe in this’ kind of way. Moving on to the things I liked. This isn’t a spoiler as it is mentioned in the blurb, but I was more interested in the story once Cameron was sent away to be ‘fixed’. I’ve never read anything where a character has been sent away but I learnt about those sorts of camps and programs in high school. Still, it was interesting to see it being portrayed in fiction rather than a documentary. I think I learnt more about it this way, and I also came to realise how truly horrible that would have been. It affected me a lot more than I thought it would. The story is about more than just Cameron’s sexuality. It deals with family issues, friends, self-discovery and to an extent, guilt and grief. I might not have much in common in Cameron on the surface, but I could connect to her on a deeper level. I think this is a very important book, and I really think that it deserves more attention than what it gets. I definitely recommend it.